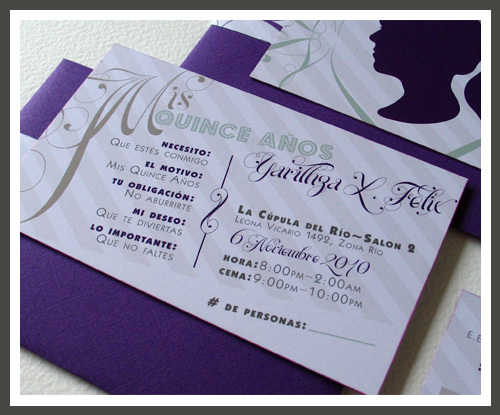 It's been quite a while since I had promised to share this Modern Quinceañera Invitation with you, but hey, it's better late than never. 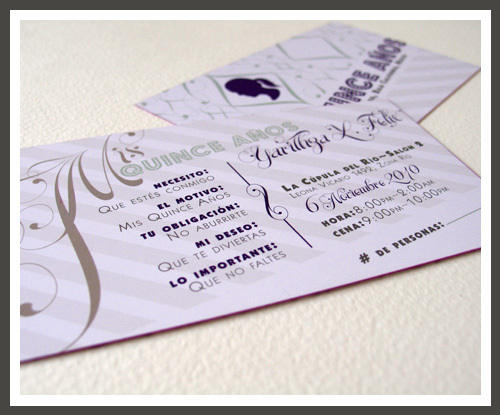 I shared the visual + sparkle = inspiration with you here and my design inspiration here, so you can see the final outcome is exactly what the Señorita wanted. 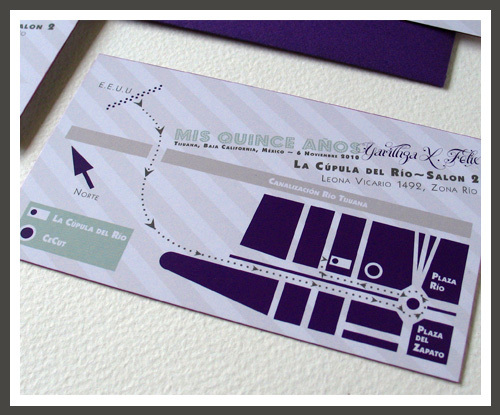 The Quinceañera Invitation Suite consisted of the main invitation, a map card with a custom map illustration, and a reception card with fun copy chosen by the birthday girl. 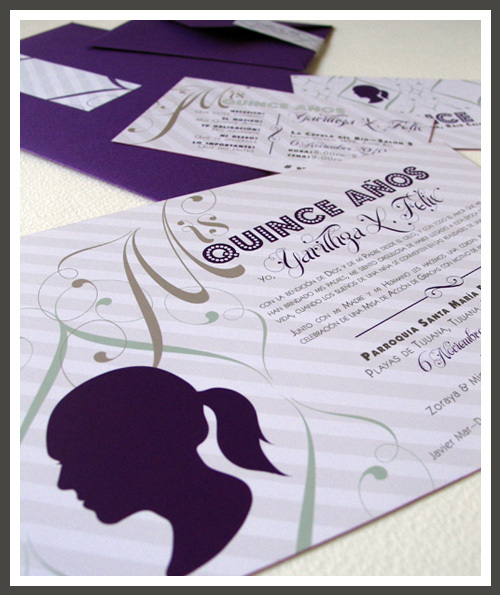 We chose to use a silhouette of the Quinceañera to give it a personal touch without the use of the actual photograph. 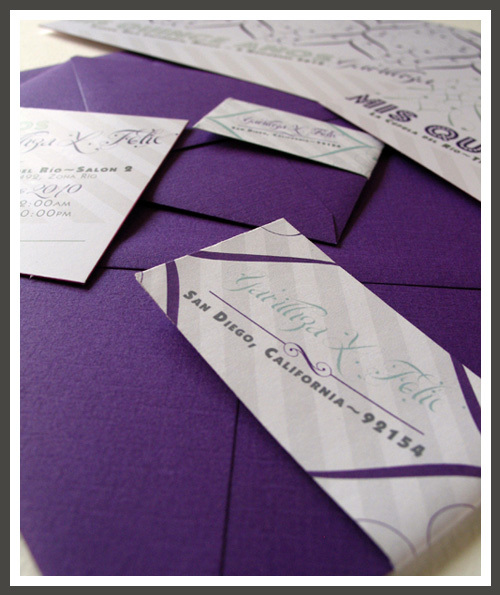 Each card had its own elaborate background pattern created by taking elements of the script typeface used as accent on the Invitation Suite. 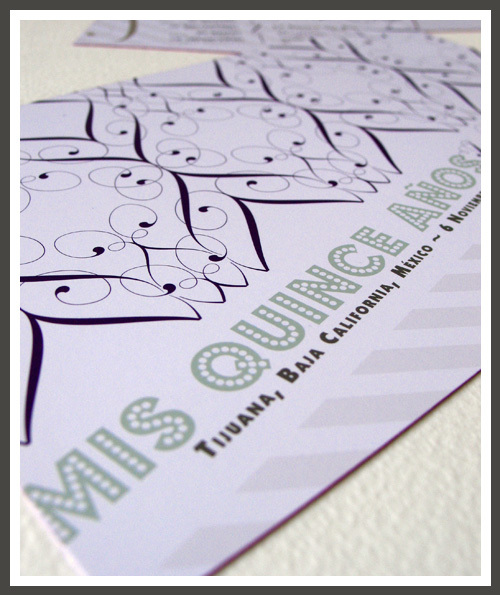 The bold Budmo Jiggler typeface was used to give it the modern and youthful touch. 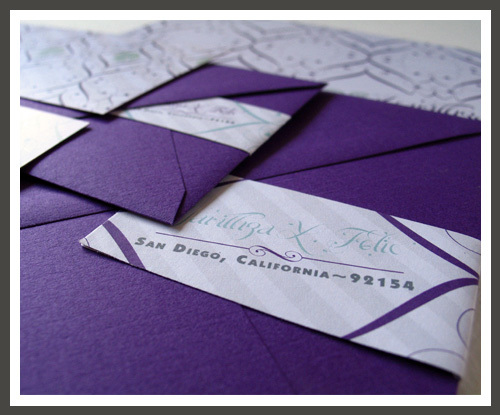 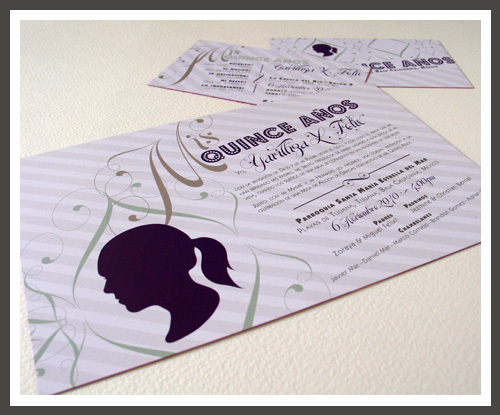 The invitation and reception card envelopes both had their own wrap-around address label with the Quinceañera's name on the back. 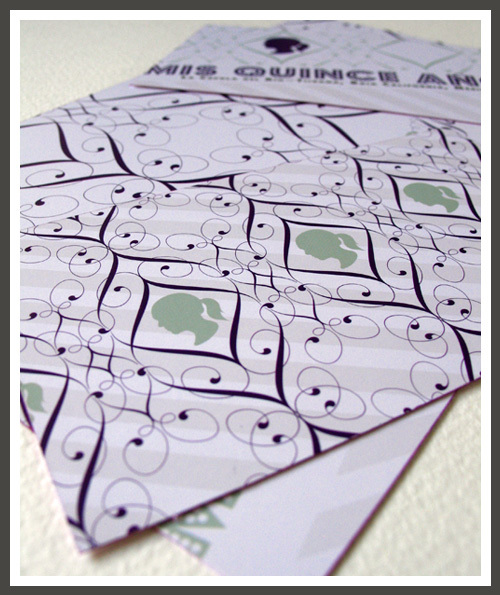 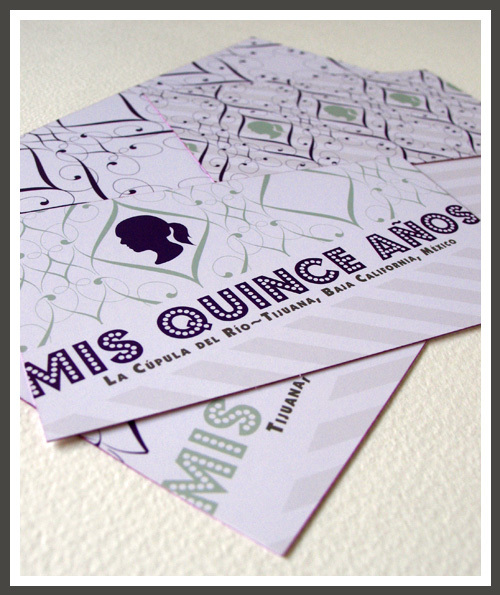 The color palette was the perfect combination of drama with the purple and modern youth with the light gray and mint. 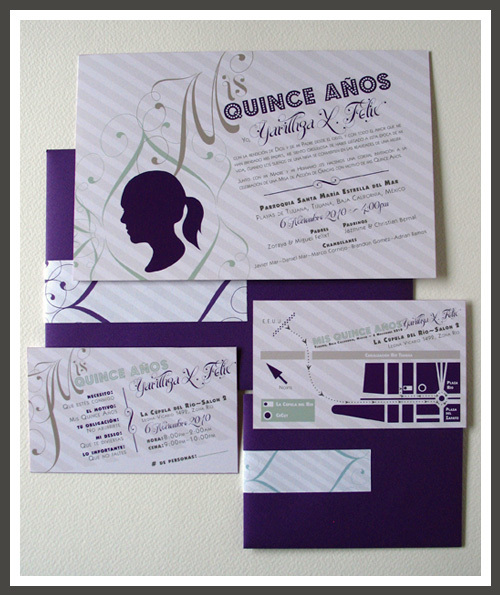 The diagonal orientation of most of the text and graphic elements also added to the modern and youthful feel of this Quinceañera Invitation Suite. 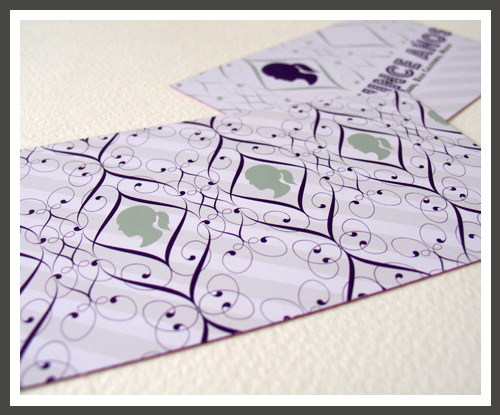 This was a fun project to work on. 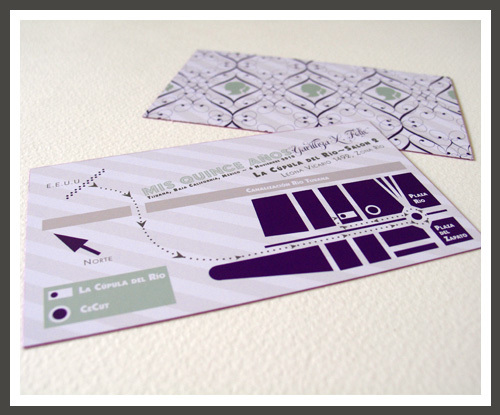 The map illustration was my favorite part using very simplified elements and symbols...it looks so pretty over the faint diagonal striped background.